Before you can start a career as a truck driver in Rhode Island, you must have a Commercial Driver’s License or CDL. You must meet several state and federal requirements before you can obtain a CDL, such as reaching the minimum age requirement. You must be at least 18 years old to drive in Rhode Island, and 21 years or older to drive to other states. According to the Bureau of Labor Statistics, the average commercial truck driver in the state of Rhode Island makes about $43,120 in a year. Despite the size of the state, it is one of the highest salary ranges for all states. It allows those who wish to enter the industry to have a higher starting salary. Applicants who are able to pass the written exams will be given a license permit. This permit will only be valid for a few months. During that time, CDL applicants should practice driving the vehicles that they will be operating while under the supervision of a licensed driver. When you feel that you are ready for the road test, visit your local DMV office and schedule a test date. You must schedule your road test while your permit is still valid. The road test will be divided into a pre-trip inspection, basic driving skills, and on-road testing. All applicants must pass all three parts to get their CDL. 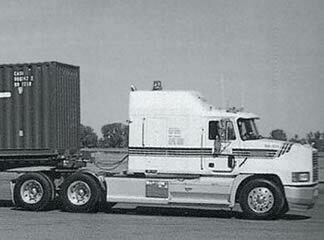 The New England Tractor Trailer Training School has served the greater Providence, RI area for more than 30 years. Their facilities include modern classrooms and dedicated driving range for students to practice maneuvering techniques. NETTTS’s driving courses are a mixture of both classroom lessons and behind the wheel training. In addition, students will also be taught important safety procedures, as well as technical and operational aspects of the vehicles that they will be driving. All of these are guaranteed to help students obtain their CDL. 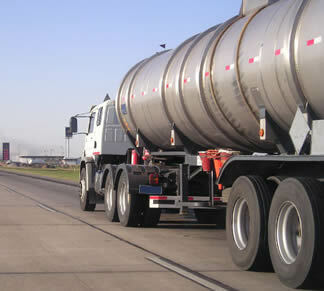 The Nationwide Diesel Technologies Performance Based Driver Training is a 7-day-a-week training facility. It provides students with flexible training schedules, which can be structured to their busy schedules. Students have the choice to either take all or part of their training during weekdays, weeknights, or weekends. We will accept the submission of additional active CDL schools on this page. Please contact us here to submit a facility for inclusion. All listings must include the name of business, phone number and address. A Rhode Island commercial driver’s license is an important aspect of truck driving. Without it, you will not be able to work as truck driver in this state. The United States government had issued some changes with regards to the process of acquiring a CDL given the recent national security issues that has occurred during the past few years. Today, those who will be applying for a CDL may have to undergo a criminal background check and also to submit to medical and visual exams to determine their fitness for truck driving. In order to get a Rhode Island commercial driver’s license, you must first be at least 18 or 21 years old. Those who will be applying for an intrastate license will need to be at least 18 years and those who are applying for an interstate license should be at least 21 years old. You must also read the Rhode Island CDL manual which contains almost all of the information that you will need to know about truck driving. The manual contains information about truck maintenance, parts, road signs, and truck driving so you can successfully pass the written and road test which you would need to pass to get a license. After you have studied the manual carefully, you will have to proceed to your local driver licensing office and request an application form. You will also need to submit to a visual exam and to a DOT medical certification. The visual exam will require you to have a visual acuity of at least 20/40 and a visual range of 140 degrees on both eyes. The medical certification should be done by a DOT accredited medical professional and with the proper form needed. After passing these tests, you will also need to submit some documents in order to proceed to the written test. When you submit your application form, you will also need to submit the following: your current driver’s license, a valid identification such as a passport, proof of residence, your Social Security Number, proof of legal residence in the United States, and other pertinent documents with regards to name changes. You must have a clean driving record as the office will track your performance for the past two years. Your driver’s license must not have been suspended or revoked for any reason at all especially for serious traffic violations and conviction for major crimes. The written test is administered in the Cranston DMV office so you have to visit and schedule for the test. Passing the exam will give you a temporary permit which is valid for a few weeks and will allow you to drive a truck together with a licensed individual. Learn everything that you can during this period and then schedule for your road test. The test will cover three aspects namely: pre-trip inspection, basic driving skills, and road test where you will be driving in actual traffic situations. Once you pass all of the tests and pay the corresponding fees, you will be given a Rhode Island commercial driver’s license. Often one needs assistance gaining the skills required to pass the knowledge test and driver’s exam. There are some truck driving schools in RI that can help with training and can be finished in a matter of weeks. They can often help place you in trucking jobs once you graduate and receive your CDL. To learn more about commercial driving requirements take a look at the manual linked below.